NGC 2232 is bright, very large, not compressed and not rich. 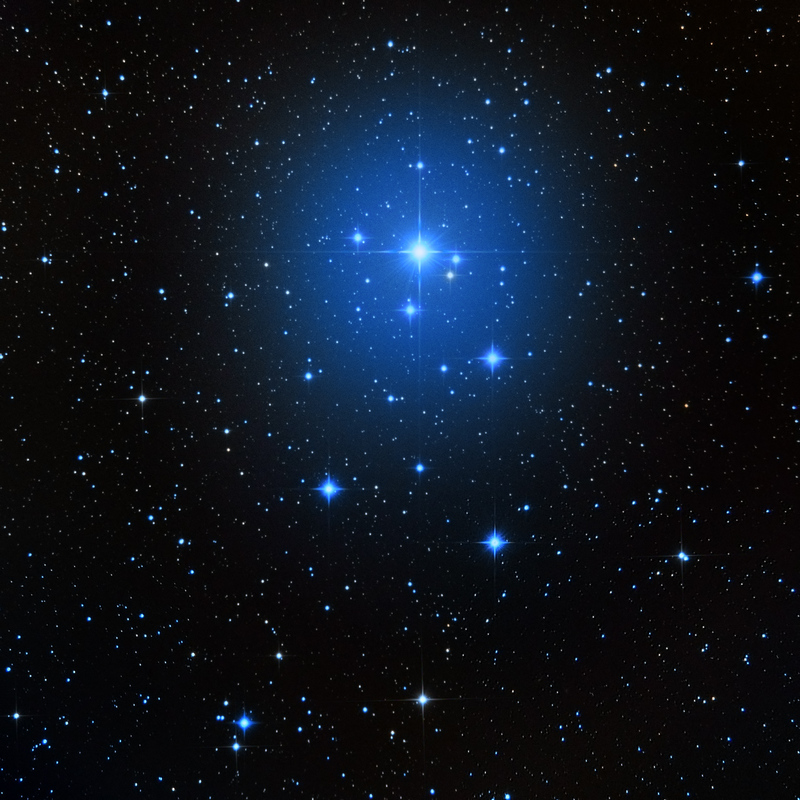 It is a scattered group of 22 stars including HD 45546 (10 Mon).You can find this sparsely populated, large open cluster to the North from the star beta Mon in Monoceros. In its center shines the star HD 45546, which is a mag 5 star - therefore it is visible with the naked eye even from moderately dark places. The cluster has many members brighter than 10m. To the West of the HD 45546 is a double star with a blue and an orange component.